100 days of writing? Hell, why not? I spent the weekend in London with a good friend, who also happens to be a writer. To me, she is a writer in the truest sense, because she shows up, time and again, whether she feels like it or not. Such discipline is the very thing that I have struggled with for years. That’s why I admire it so much when I see it. I still don’t have it, maybe never will. But I won’t stop trying to achieve it, because I know from those around me that it can be achieved, in spite of life’s voracious attempts to get in the way. And if they can achieve it then so, in theory, can I. Just now I saw another friend – also a writer – mention a 100 day writing challenge that she has agreed to take part in: “No word targets – just a promise to turn up every day for 100 days however I feel and whatever happens.” I am drawn to this, and so, without further thought or over-analysis, I will commit to it. I don’t know what I will write, but it will be something, and it will be every day. Some of it I will post on this blog, some of it I may not. I will surrender myself to the universe and see what happens. Because, why not? Today, I will celebrate life instead of being afraid of its fragility. I will take time out to breathe deeply, to feel the blood flowing through my veins. I will give thanks for all my blessings, which are many. I will pray for those who are suffering, and mourning loved ones. I will not take things too seriously, or let them overwhelm me. I will realise that, in the end, the only thing that matters, will ever matter and has ever mattered is love. And while there is breath in my body I will honour the commitment that I make today: to be a good person, keep an open heart and enquiring mind, and help others whenever and wherever I can. I’m not a big believer in New Year’s resolutions – primarily because I’m not very good at keeping them – but given that my wedding is now fast approaching (six months? Where did the last nine go? ), it is imperative that I start as I mean to go on where health and fitness are concerned, because, funnily enough, I’m not that keen for people to remember my fat arms more than anything else from my wedding day. Having spent most of the festive season stuffing turkey, roast potatoes and mince pies into my face at staggeringly frequent intervals – all washed down with cirrhosis-inducing quantities of alcohol – I am actually feeling ready for the challenge. What I am less ready for is the inevitable January gym scrum, but I suppose that goes with the territory. Given my current bad back situation, however, it may be a while yet before I’m doing sprints on the treadmill and lifting my own weight on the LAT pull down machine. Hopefully a few chiropractor sessions and some gentle exercise and Pilates will do the trick, because I’m not enjoying feeling more like 94 than 34, and it depresses me no end that last year I was training for a marathon and now it hurts to stand up and walk to the toilet. But hey ho, we all have our crosses to bear. And then there’s booze. We all know it’s the devil (albeit an alluring one), but I can’t quite bring myself to partake in the misguided (in my opinion) saint-fest that is Dry January, so instead I will be sticking to one tipple for the whole of this month – red wine, whose wide-ranging health benefits have been widely touted in official studies like this one. So there. And finally, there’s my biggest nemesis: Procrastination. To kick off the year in the right frame of mind I have unsubscribed from all the crap emails I receive daily into my Hotmail account which my FOMO had until now prevented me from doing (it’s all very well being kept abreast of the latest pop up tiki bars and arty plays in your favourite corner of south west London, but when you now reside permanently in another country, it’s kind of pointless continuing to receive a stream of constant updates about them). I’m not quite ready to eschew social media, but I do plan to cut down in my eternal quest to make room for writing. I’m sick to death of making promises on that front, but I really hope that 2016 is the year I get my head back in the writing space once and for all. There is already one exciting project in the pipeline (more on this tomorrow), so I am at least starting as I mean to go on. Do you ever feel there isn’t enough time to do the things you want to do outside of your day job? Are you often just so tired at the end of the working day that all you want to do is lie on the sofa and watch crap TV just to relax your mind? But then the guilt sets in, because such activity feels like it actively diminishes your intelligence rather than bolstering it, and if you don’t use your time wisely how will you ever finish that novel/Open University course/improving tome etc.? If you do feel that way, you’re not alone. I for one experience this cycle of worry and guilt on a daily basis. Even though I know that being a published writer is my goal, somehow it seems that writing at the end of a full day’s work (and, when I can be bothered, a post-work gym session) is always the last thing I want to do. But then, yesterday, I struck on the most blindingly obvious and simple concept: Instead of telling myself that I had to spend the whole evening writing, with no time to do anything else (the usual mantra due to guilt at not having written enough in the preceding days/weeks), I told myself to spend just one hour working on my screenplay, at the end of which I could spend an hour watching any TV programme I liked. And at the end of that, I would go to bed and spend an hour reading my book (because, in my experience – and somewhat ironically given the benefits – when you’re feeling overtired and too busy the first thing to go is the luxury of reading before bed). And you know what? It worked. I didn’t do a huge amount of my screenplay, but I did more than I had done in the past few days. And, more than anything, it felt like I had removed a big obstacle that had been standing in my way. I no longer felt scared of the enormity of the task I was facing, because I had broken it down into a manageable task. Moreover, I didn’t feel (as I so often do) that writing meant having to sacrifice all other enjoyment, or that I had to choose between writing and reading (a horrendous choice for a writer because without reading how can you improve your writing? Catch 22). So often we tell ourselves that we are useless, that it’s impossible to realise our dreams. But what if we’re just framing things incorrectly? 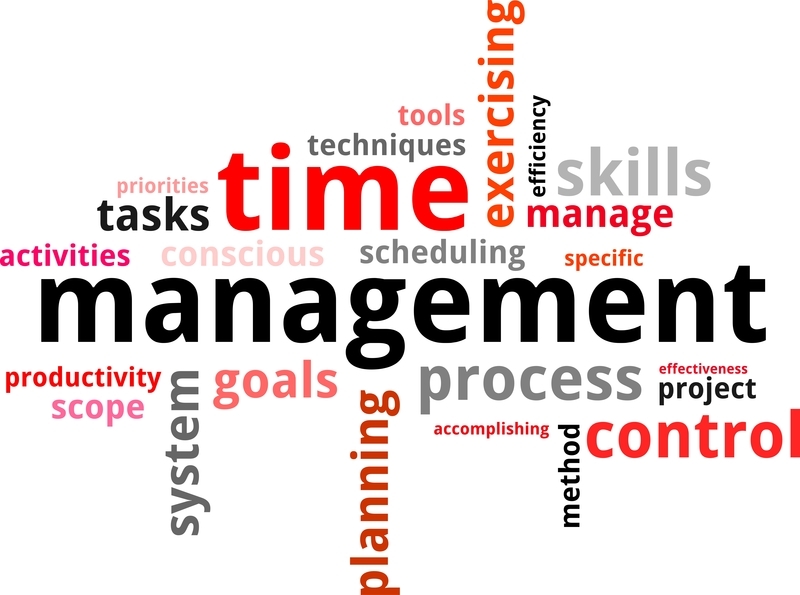 What if the problem is not our lack of talent, or even commitment, but rather the very simple and easily corrected issue of time management? We all know that if we want to do something we must make time for it. But what makes so many people stumble at the first hurdle is the misguided view they must devote every spare moment to the pursuit of that goal. Wrong. Start small, with ten, twenty, thirty minutes a day – whatever feels achievable to you. And make sure that you stick to doing it – simple. It takes time to form a habit, and it isn’t always easy. But if you don’t start, the only person you’ll have to blame for not achieving your potential is yourself. Q: What do Gyms and Puppies Have in Common? 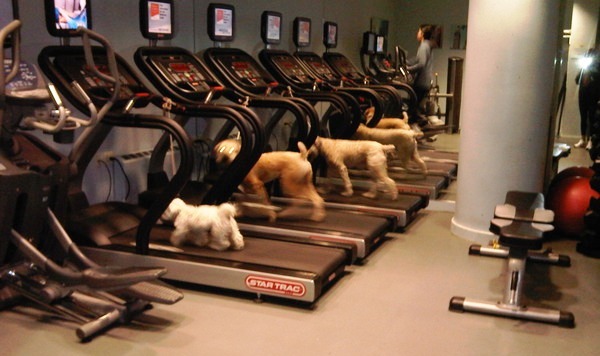 A: Like puppies, gyms should be for life – not just for Christmas (or, for the purposes of this blog post, January). Over the Christmas holidays, as I was midway through my second helping of bubble and squeak (whilst simultaneously eyeing up the chocolate log and mince pies) my mother unsubtly dropped into conversation – with a meaningful stare – that her diary for that same day the previous year documented that I had completed an 11 mile run. I lowered my fork momentarily and glared at her over the mound of food between us, feeling thoroughly hard done by – I had, after all, had to pull out of the marathon I’d been training for with nine days to go, after suffering a prolapsed disc, so it was hardly appropriate to make me feel bad about it, especially at Christmas. Honestly. But, much as I hate to admit it, Mum was right to bring my lack of exercise up. True, I did have a nasty injury that required several months of physiotherapy (although if I’m honest I can only blame myself, seeing as it was the result of overtraining – a concept that right now seems entirely alien), but the physio ended with the summer, and even my physiotherapist told me I was ready to get back to exercising – so why didn’t I? Because I was afraid – of how much I had lost my fitness, and of how much work I would have to do to get even a fraction of it back again. Fortunately the new year has, for me as well as thousands of others, brought with it fresh resolve. No more the upward creeping of the scales, whilst my blind eye is turned the other way. It’s time to face my fears and get my thigh gap back. It is also, I have decided, the year I manage to prove my abdominal muscles really do exist – no small goal. There shall be no excuses, just regular exercise and a predominantly healthy eating regime. If I can train up to 17 miles for a marathon I can surely claw back some of that enthusiasm now? So, I’ve joined a gym, which is conveniently located about a minute’s walk from my front door (greatly helping with the ‘no excuses’ side of things). And so far this year (today being the 12th of January) I’ve been a whopping SEVEN times (never mind that two of those times involved the sum total of about 30 minutes of cardiovascular exercise – everyone has to start somewhere, right?) But this post is not intended as a gloat-fest, I actually wanted to discuss something that has been amusing me no end since I joined, and that is ll the New Year Resolution gym goers (I realise I could well be placed into that category given my recent hiatus, but trust me, I know I’m in this for the long haul). I’d genuinely forgotten how hilarious these people are. The other day, for example, I saw a man on the step machine who, instead of using the machine correctly and stepping as if stepping on air, was just standing on the floor and lifting each step up in turn beneath his feet. Not far away another man was using a weight machine on the lowest possible weight setting (which would barely develop muscles in an ant), and another still (this one VERY overweight after the festive season’s over-indulgence) was cycling at the most leisurely pace possible on the sit-down bike – whilst reading his book.